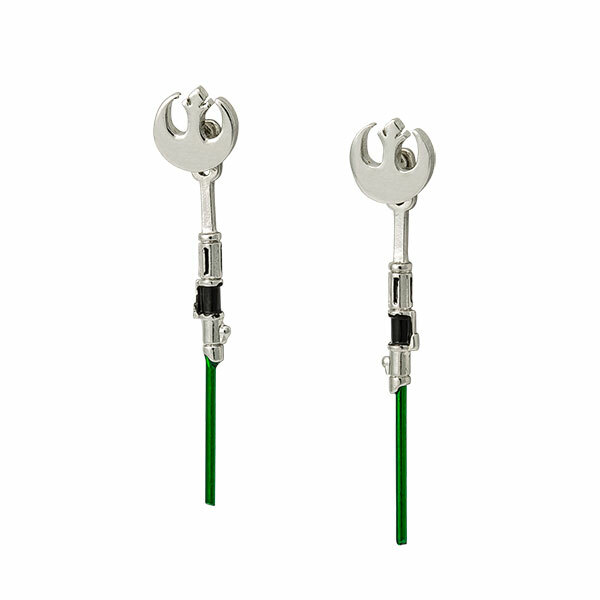 These new Star Wars Yoda lightsaber dangle earrings are now available at ThinkGeek. 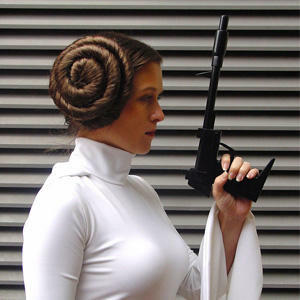 The earrings feature a cut-out Rebel ‘starbird’ symbol on the main stud earring, while the lightsaber charms hang off the earring post at the back to create the dangle effect. 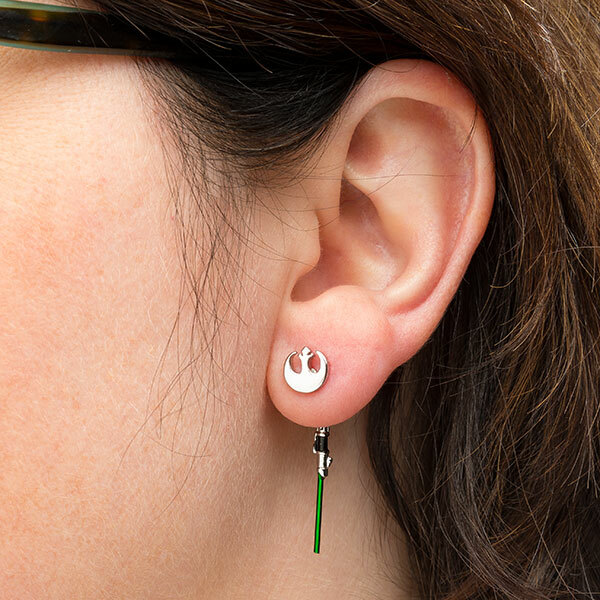 You can wear these earrings two ways – just the Rebel studs on their own, or with the additional lightsaber charms for a new look! These are stud earrings featuring the Rebel logo, only they also come with a lightsaber charm that you put the post through to create a dangle effect. The result? Two different looks from a single pair of earrings. 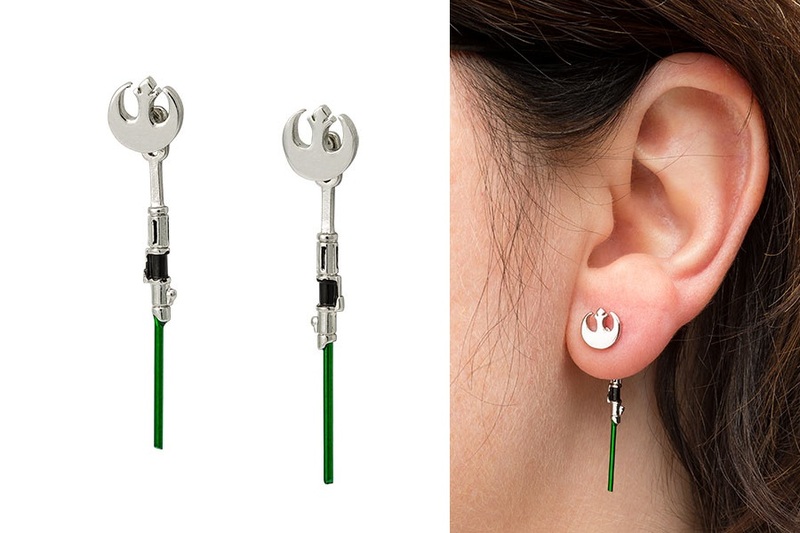 The earrings are priced at US$24.99 per pair – ThinkGeek can ship internationally, which is great!